Here in the northern hemisphere, it’s summer. Even after moving further north from Orlando to Baltimore, we still have frequent afternoon thunderstorms. All this rain reminded me of two more ways we can work with the ideas from last week. Did you practice this progression (or something similar) this week? The first registration suggestion was to use celestes to accompany a flute solo. The second option was for a solo in the tenor range. If you tried the tenor solo, did you use your right or left hand for the solo? Hopefully you made some progress toward mastering these registrations and are now ready to add a new texture to the improvisation! Keep the celestes as the accompaniment, but now add something sparkly to the flute solo, like a larigot or sifflote. Instead of playing long connected legato lines, your task is to make raindrops – super short staccato notes – on this sparkly registration. Because rain falls pretty quickly during a nice summer shower, be sure to spend some time practicing just the rain with the chords to make sure you can think faster than your fingers play! I prepared a handout to demonstrate each of the three dispositions. If you happen to have an organ with a pedal divide, you can actually put the melody in the pedal (right foot) while still playing a bass part with the left. And lest you feel unchallenged because you don’t have a pedal divide, try thumbing the melody on another keyboard while still playing the raindrops and accompanying chords. From top to bottom, registrations on the keyboards would be: Top=celestes, Middle=Solo, Bottom=Raindrops. If you can master this disposition, people who aren’t able to see what you are doing will think you’ve grown another arm! After sharing First Lessons in Extemporizing on the Organ by Hamilton Crawford Macdougall, several readers pointed me to resources where I’ve been able to locate other method books available for download. This week I spent looking at Organ Accompaniment and Extempore Playing by George E. Whiting. It is available through IMSLP which is a fabulous source of scores if you are not already aware of it. As for the Flutes –especially the Stopped Diapasons– I consider them of the least consequence of any of the various tone qualities of the organ. They are the most cheaply built of any of the registers, and small, inferior organs are apt to be full of them. Light passages, rapid scales, staccato chords, arpeggios, trills, etc., are not appropriate to the Diapasons of either manual: this family of stops requiring a grave, church-like style of performance, such as chorals, linked chords, contrapuntal effects, and slow arpeggios. While the improvisation instruction is nothing that couldn’t be found in any number of newer methods, if you want to improvise in a late 19th century style, this book provides lots of key ideas about how to register the organ and, through the examples of accompaniment and orchestral transcription, what sort of disposition of voices sound best. In addition to being a season when I can expect rain outside to enable the plants to grow, I hope these emails provide nourishment for your growth in improvisation. It has been a pleasure to receive emails from several of you lately. These messages nourish me and keep me looking for ideas and ways to help you. Thank you for subscribing. Posted in Newsletter. Tagged George E. Whiting, Hamilton Crawford Macdougall, Handouts, Maurice Clerc, Method, Newsletter. 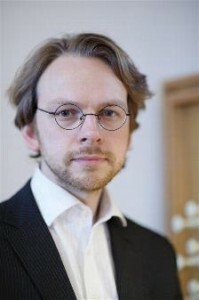 Ronny Krippner studied organ and improvisation at the Hochschule für Musik in Regensburg and at Exeter University. He is Specialist Lecturer in Organ Improvisation at Birmingham Conservatoire and Assistant Director of Music at St George’s, Hanover Square. In 2009 he was both a finalist in the prestigious Organ Improvisation Competition in St Albans and a prize-winner in the International Organ Improvisation Competition in Biarritz. 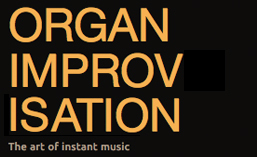 The DVD ‘Ex Tempore – The Art of Organ Improvisation in England’, featuring improvisations by Ronny Krippner, has received high critical acclaim. He has several handouts for the study of improvisation available on his website here. Posted in Organist. Tagged Biarritz, Birmingham, Concours André Marchal, England, English, Exeter University, Handouts, Hanover Square, Recording, Regensburg, Ronny Krippner, St George, St. Alban's, Triptyque, YouTube.